For the minced meat, Melt 1 tbsp of Margarine and cook the garlic and onion until soft and slightly browned. Add the curry powder and stir to cook for a few seconds then add the tomato paste, minced meat, and carrots. Add the frozen peas and crumble 2 Royco cubes to act as seasoning. Add a little water if the meat dries off. Taste and adjust the seasoning by adding more Royco cubes if necessary, as well the cream to have a thick sauce. Turn off the heat when it starts to boil and stir in the chopped coriander ready for serving. Bring water to a boil and add 2 tbsp of salt. Insert the spaghetti into the boiling water and cook according to the pack instruction and timing. When cooked drain off the water in a colander and return to the pot. Add 1-2 Tbsp of Blue Band and allow to melt as you mix into the Spaghetti. Add the black pepper if using. 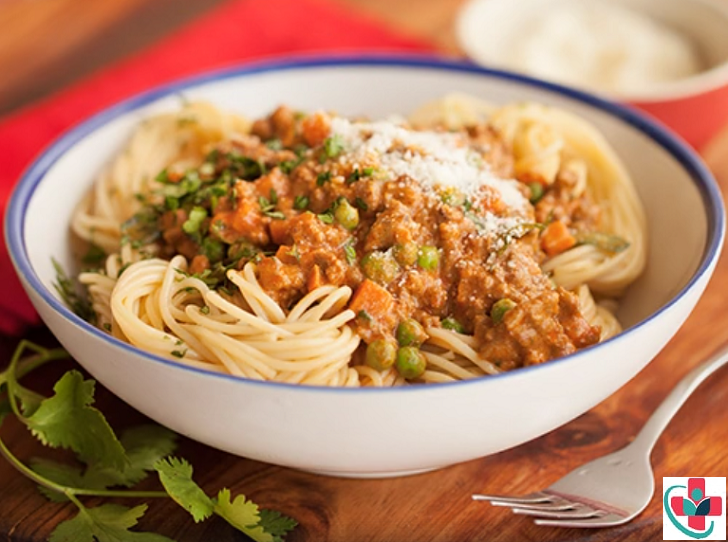 Plate the spaghetti while hot and top up with the spicy minced meat.